The Cabin at Bucks Mills in North Devon, a National Trust property, is rarely open to the public. 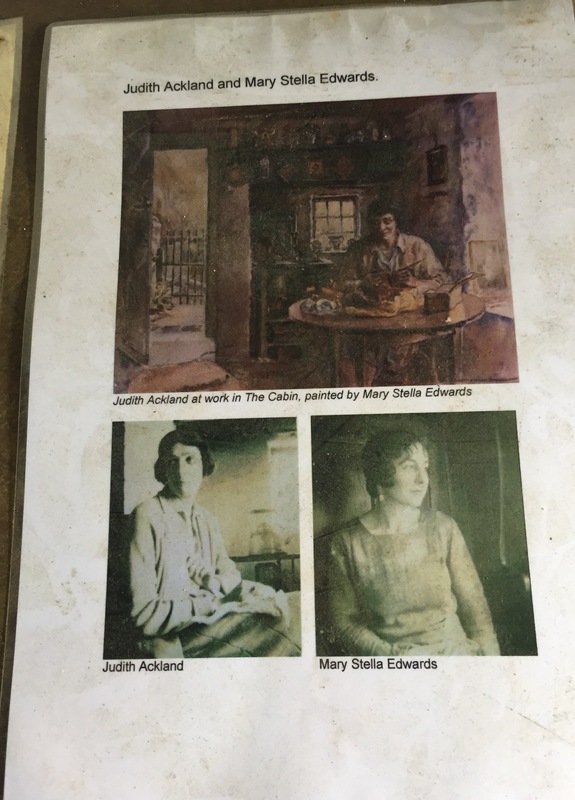 It is a memorial to two local artists, Judith Ackland and Mary Stella Edwards, who followed the traditions of British romantic landscape painting. 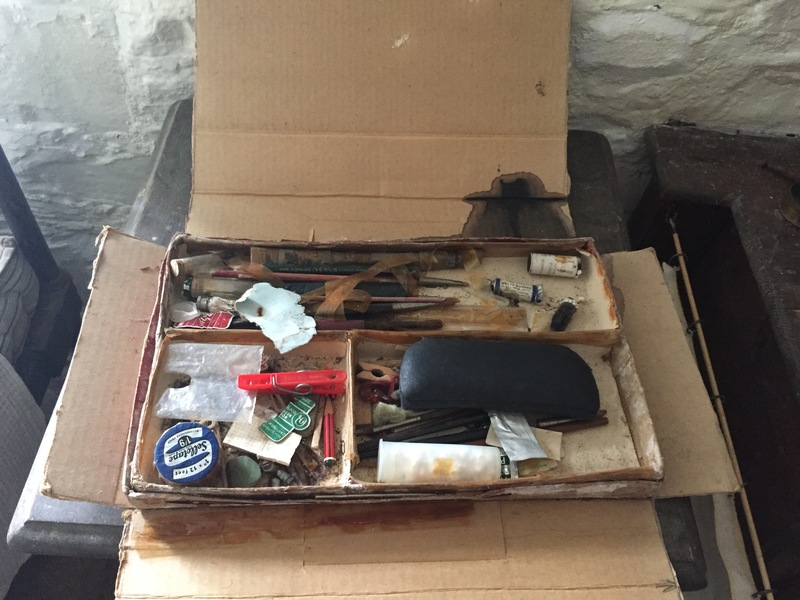 Their studio remains exactly as it was left decades ago, frozen in time. I am one of seven local authors who have been invited to use it over the coming holiday weekend and take inspiration from it. 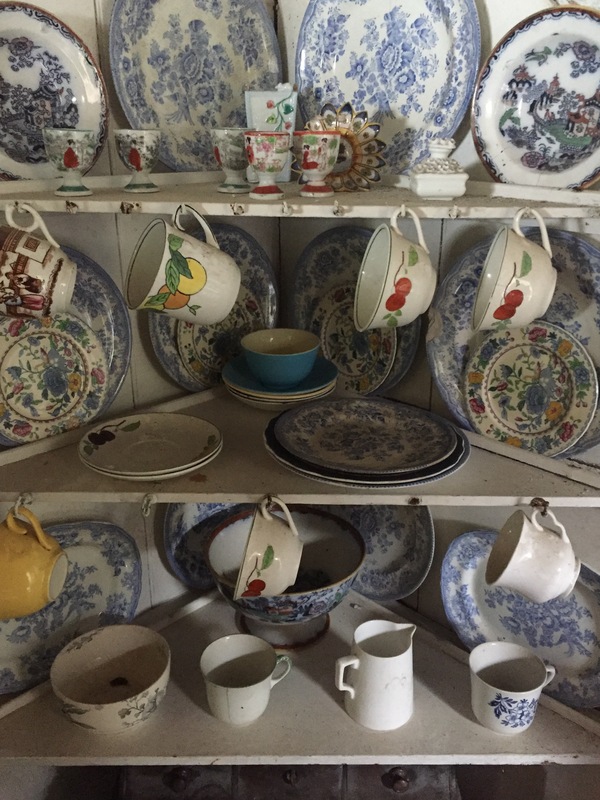 By contrast, the inside of the cabin is quite spartan and purely functional (and no electricity), apart from a dresser of pretty patterned cups and plates which add a splash of colour. It was the two women’s studio between 1935-1971. After Judith Ackland’s death in 1971 the cabin was abandoned. It looks, however, as if they have just stepped out and intended to come back. Hopefully, we authors will find our own muse in the location and setting. I wonder whether we’ll feel the spirit of Judith Ackland and Mary Stella Edwards encouraging us? 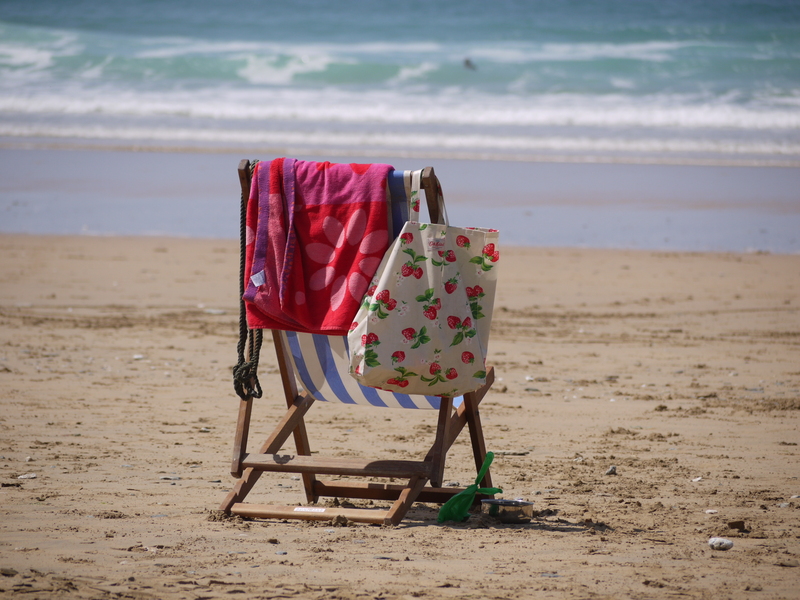 Authors Ruth Downie, Janet Few, Susan Hughes, Wendy Percival, PJ Reed, Liz Shakespeare and Pamela Vass will be at the cabin over the May Day Bank Holiday Weekend, 29 April-1 May 2017, 10am – 4pm. 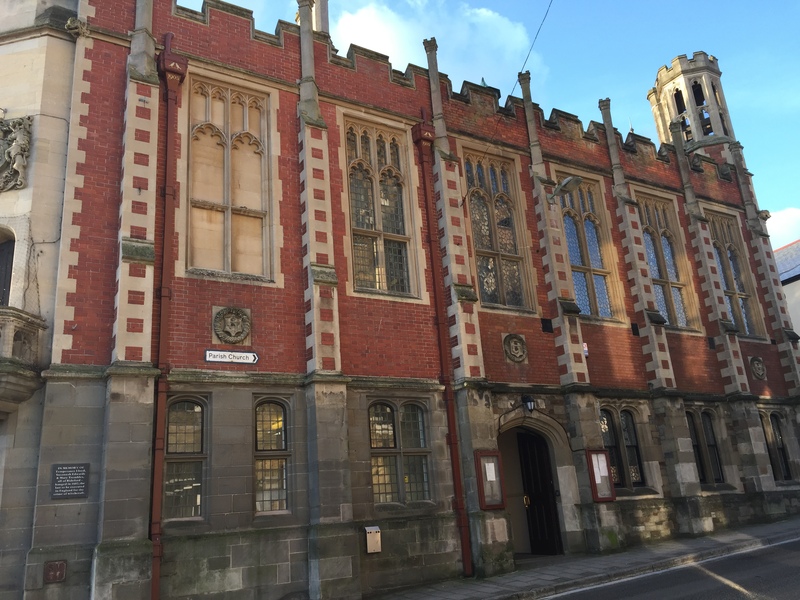 The Ackland-Edwards Collection of watercolours, drawings and dioramas of local topographical or historical interest, is on permanent display at The Burton Art Gallery and Museum in Bideford, North Devon. I wanted to re-imagine a particular domestic interior which would be witness to confessions, secrets, and dangerous passions for my first novel. 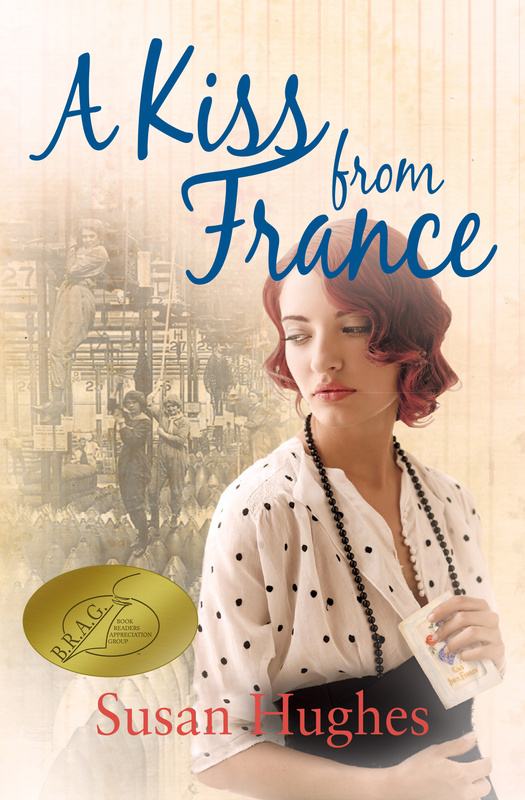 It had to be a middle class London town house, the sort a well-to-do manager in charge of a large, WWI munitions factory might live in. This was to be the room where the central drama of my heroine’s life would play out. From research, I learned that by the first part of the 20th century, the drawing-room had given way to the sitting room or living room. It was now furnished for everyday use and for comfort. It was much less formal than in previous eras. Electric lights were installed and the fireplace was still a focal point in the room. Furnishings and upholstery complemented each other but didn’t necessarily match. Reproductions of 18th century furniture were all the rage and less fussy wallpapers in light colours became fashionable. From these emerged my vision of an elegant room, with tall windows leading onto the rear garden (a ‘war patch’ of vegetables mainly replaced flower beds during the first world war). In the mornings, letters and cards would be written sitting at an 18th century reproduction escritoire or table; in the afternoons, visitors might take tea from Wedgwood tea cups; of an evening the room’s ambient lighting would come from one or two art-nouveau inspired lamps and a shellac record of popular songs of the day would be playing on a HMV gramophone. I was helped in creating the imaginary room by a visit to The Geffrye Museum of the Home www.geffrye-museum.org.uk in East London, where a number of period rooms have been recreated. Attendant mood boards showing soft furnishing and flooring materials provide extra details. There is a small library holding relevant reference books for further study. Book research is a useful starting point when I am trying to ‘get inside’ a period. Seeing a fully furnished room adds an extra dimension. Any photographs are the author’s own. My previous experience with my first novel showed me the importance and benefits of getting early critiques of my second novel. So last year I joined a writing group. Last time, the first eyeballs on my manuscript (other than my own) were those of a structural editor. Needless to say, the amount of red pen required made it look like she’d bled all over it. Poor thing. This time round, with my current work-in-progress, I have found that joining a writing group has been a more helpful, supportive and just plain fun way to get early input. The group meets once a month, face-to-face. It is designed primarily for writers working on a novel. We begin with a round-up of everyone’s progress on their current project, discuss any challenges and offer suggestions, followed by two selected writers reading their work aloud for a group critique. I have read out different sections of my work-in-progress on several occasions. Not every comment I received was a glowing appraisal but each one offered some useful take-away to help me refine my writing. Reminds me I am human. I am very lucky to be part of such a writing group. Thank you, fellow scribes. You know who you are. When I am at home I am often guilty of leading what I have come to call an ‘eye-level life’. Yesterday, for some unknown reason, I broke this habit and found something surprising. The plaque commemorating the Bideford Witches. Normally I go about my ordinary daily activities, paying little attention to my everyday surroundings and without raising my eyes above my normal line of vision. Yet when I am abroad or visiting a different town or city I go to its museums, look at its monuments and plaques, take photographs and generally delight in my unfamiliar environment. My lack of curiosity – familiarity breeds contempt, perhaps? – about my local environment has caused me to be unaware of a fascinating piece of local history for ten years. It is ironic that my fascination with Arthur Miller’s allegorical play, The Crucible, based on the Salem witch trials in Massachusetts between 1692-93, made me eager to visit the town which had been so consumed by witchcraft hysteria and had inspired a powerful piece of drama. I travelled hundreds of miles and yet here, virtually on my doorstep, was a tale of witchcraft much closer to home. 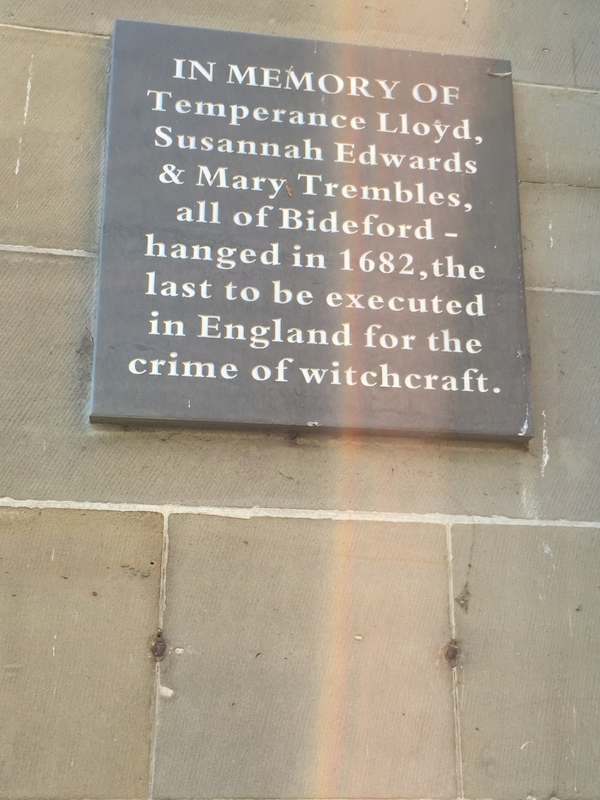 I discovered that Temperence Lloyd, Susannah Edwards and Mary Trembles were tried, found guilty of practising witchcraft and went to the gallows on dubious confessions and evidence which was little more than malicious rumour and hearsay. Thousands of women were executed in England for ‘the crime of witchcraft’ during the sixteenth and seventeenth centuries and yet by 1682, the date of the Bideford Witches’ executions, the witchcraft hysteria was well on the wane and other women similarly accused were pardoned. Ben Bradshaw, MP for Exeter, has called it ‘a stain on our history’ and a campaign for a posthumous pardon for these three women was started in 2014. It is likely these three – one, by some accounts, a senile old woman – were simply victims of religious hatred or intolerance or ignorance but perhaps there were other things in the Bideford of that time which caused them to be so unfortunately singled out. Women accusers revelling in the temporary influence and prominence their testimonies gave them in a society in which they had neither? Old scores being settled? Jealousy? Financial gain? To teach them a lesson? Perhaps their accusers expected them to be pardoned after all and never meant for them to be hanged? It is likely that we will never know the answer but that’s where imagination can take over and fill in the gaps. I enjoy delving into the past to find inspiration for my writing and this experience has reminded me what nuggets of our past can be missed by leading an eye-level life in everyday routines. So I have made a promise to myself to break the habit. Inspiration is all around us, if we only bother to take the time to look up and see it.